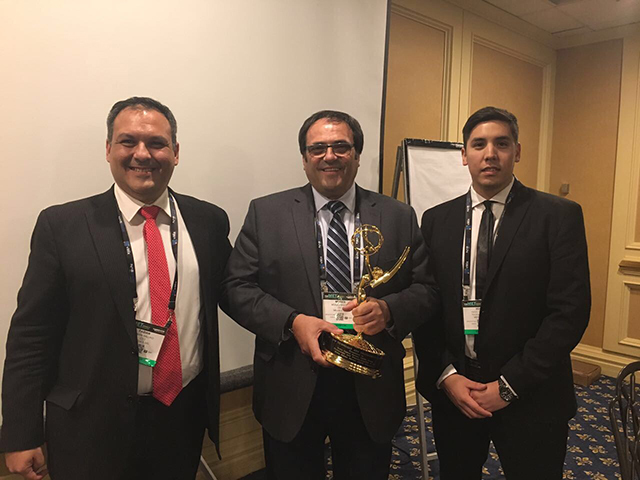 At the last CES exhibition held in Las Vegas, Nevada, USA, MOS Protocol Group received an Emmy Award for Technology and Engineering by the National Academy of Television Arts and Sciences. MEDIA 5 as an active and permanent member of MOS Protocol Group, its gratefull and proud of the award reaffirming its position based on the constant study of the Broadcast market, to integrate all products by MOS protocol, which they consider necessary to offer solutions capable of communicating with any other platform or equipment by a high technology protocol. For this reason, for several years they worked in this architecture from which they integrated their PLAY OUT, CG, RECORDER and MAM systems. In addition to the integration with their own equipment, MEDIA 5 developed an integration with one of the most important news systems in the world (AP-ENPS). 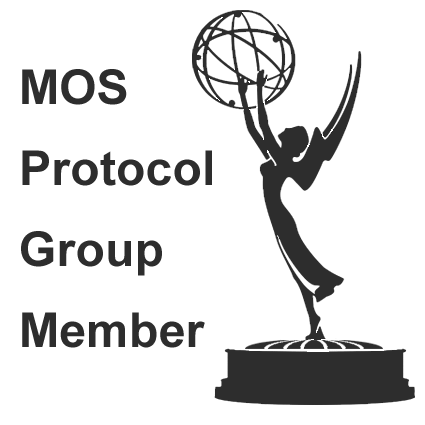 This development allows all MEDIA 5 equipment to be controlled by this system through MOS protocol, inserting their applications into the AP-ENPS News Rundown. Currently MEDIA 5 is the only Argentine company that offers a fully dynamic platform, scalable and with integration by protocol with other platforms. The MEDIA 5 team values ​​this award and considers it as the incentive to reinforce its commitment to the continuous challenge of developing products of excellence that contribute to the perfection of the highest technology. As an encouragement to continue its expansion policy, MEDIA 5 congratulates all the members of MOS Protocol Group for this award to the television industry.